I hope your February is starting off well. At the Capitol in Denver, we are hard at work debating this year’s legislation. HB18-1054: A $.25 tax on plastic grocery bags in Colorado. Thankfully, this bill was voted down in committee! SB18-040: Would give goverment’s blessing to “safe spaces” for heroin users to inject their poison. For now, this bill looks to be stalled in the Senate. 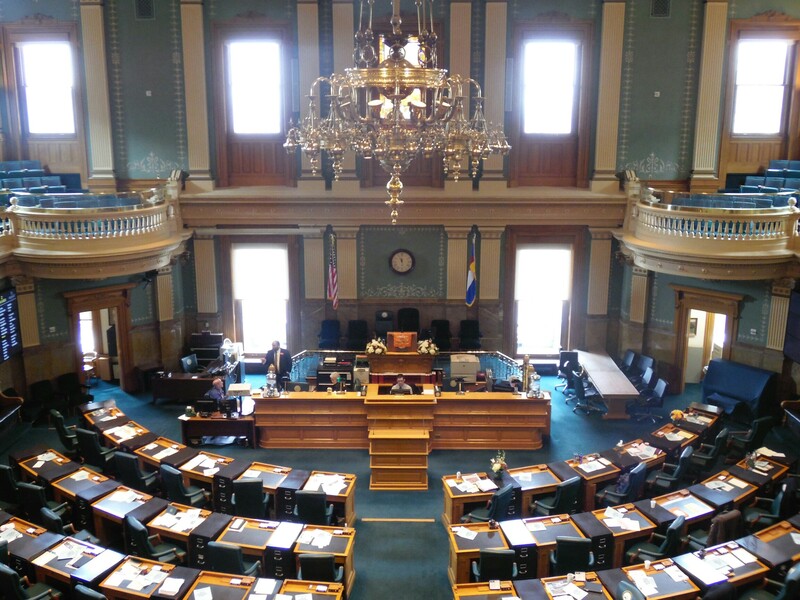 HB18-1071: Dramatically increases regulations on our vital Colorado energy producers. The bill would raise the cost of living for all Coloradans and it passed the Democrat-controlled House yesterday. All Republicans and even some Democrats voted against it (good thing we have a Republican majority in the Senate that can stop this costly bill!). So far, over 400 bills have been introduced in the Legislature, giving all of us at the Capitol plenty of reading to do! HB18-1056 FPPA Fire And Police Pension Association Statewide Standard Health History Form: Ensures our first responders receive their benefits, including disability benefits. HB18-1061 No Blanket Encryption Of All Dispatch Radio Communications: Would provide needed transparency for our community regarding first responder radio communications. The more open our government is to the people, the better. HB18-1217 The Working Families College Savings Act: Gives employers a tax incentive for contributing directly to an employee’s 529 college savings account. This optional program could be tailored to meet the needs of individual businesses and would give parents and students a great new way to save more for a college education. HB18-1237 Sunset Continue Cost-benefit Analysis For Rules: Streamlines our State Government by requiring a “cost-benefit analysis” for every rule mandated by a state agency. This would shine a much-needed light on unnecessary government spending and regulation. As you can see, we are busy at the Capitol! But, I can’t do it all without the help of my Legislative Aide. I want to recognize my new Legislative Aide this year, Austin Miller. His hard work makes a big difference. Thank you, Austin! Thank you for taking the time to see what’s going on in Denver. You can also visit my Facebook page and website to stay up to date on what is happening at the State Capitol.